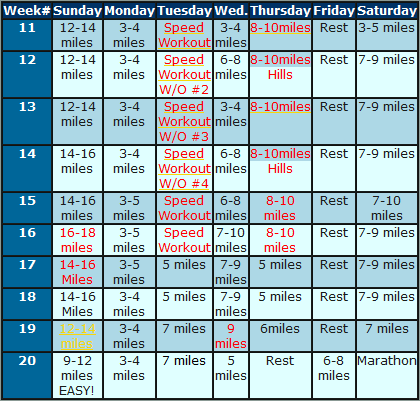 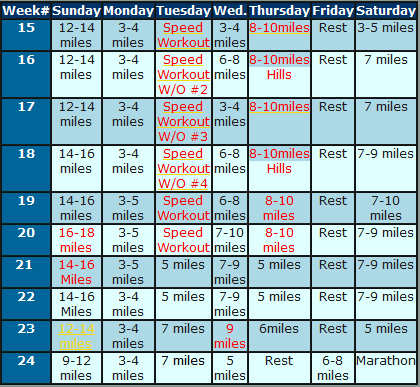 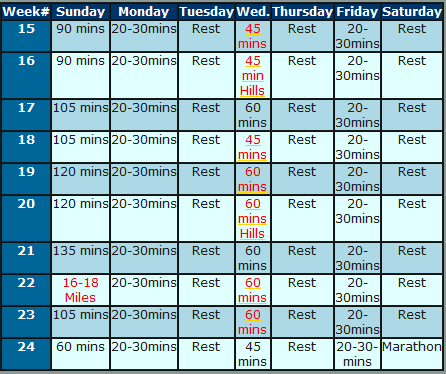 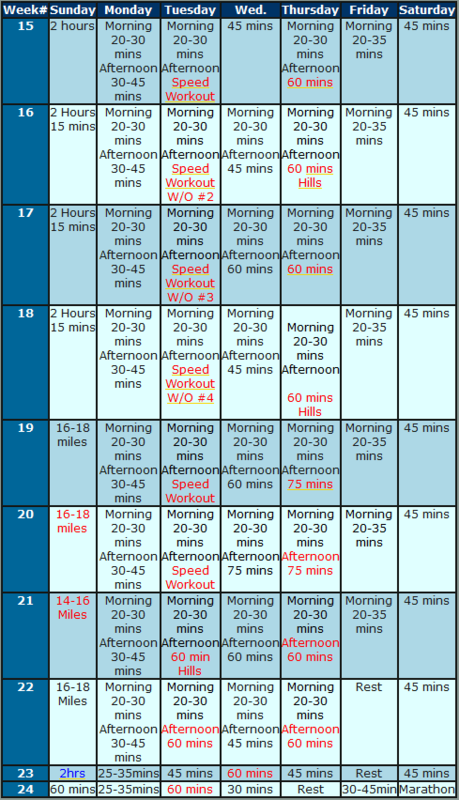 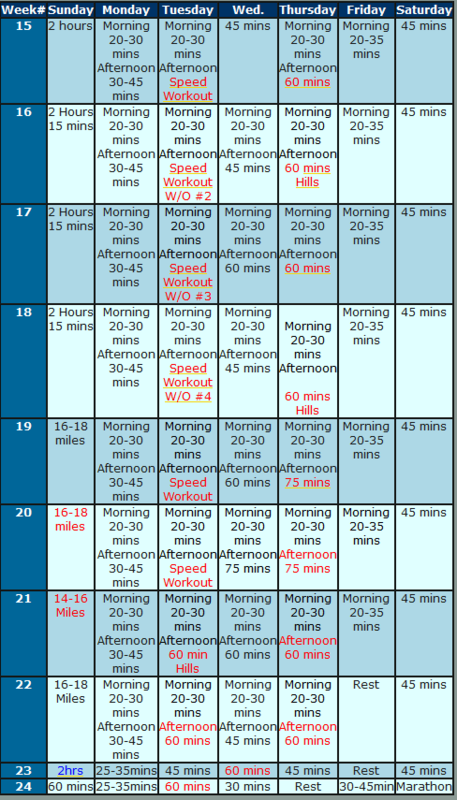 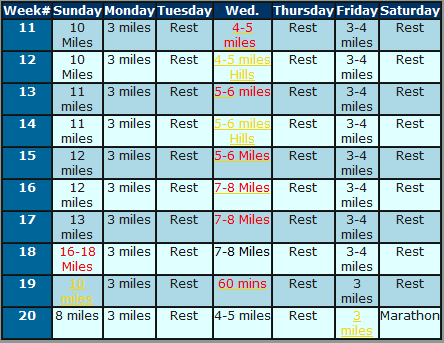 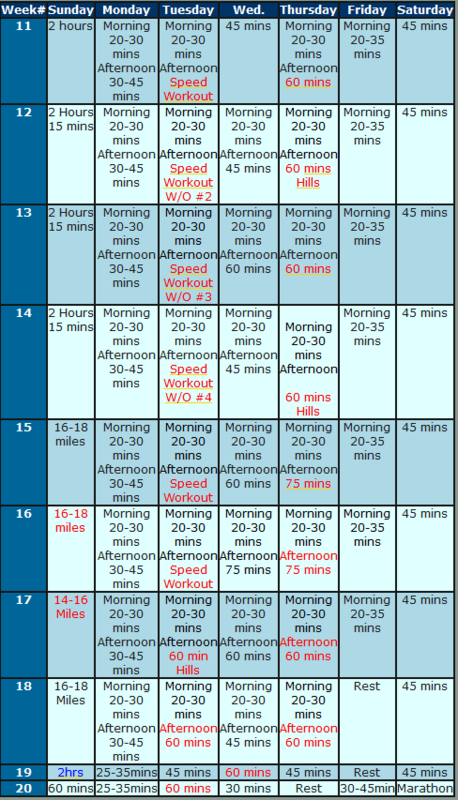 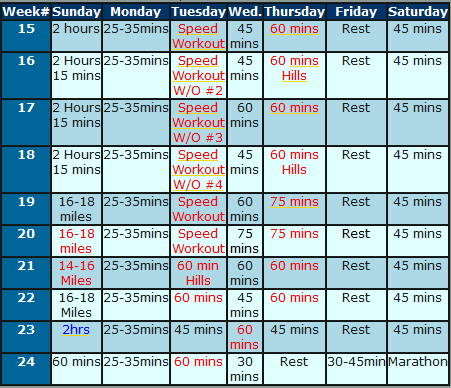 This page provides links to the Second 10 weeks of training for every level of runner. 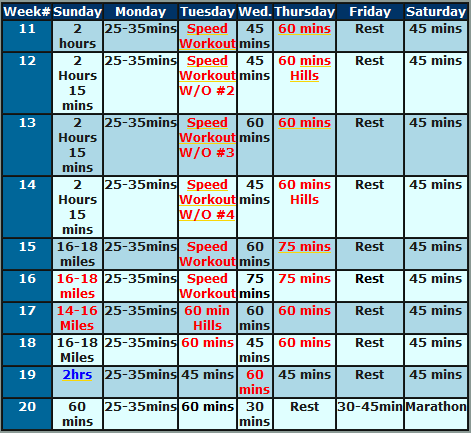 Schedules are based on a 5-month or 6-month program. 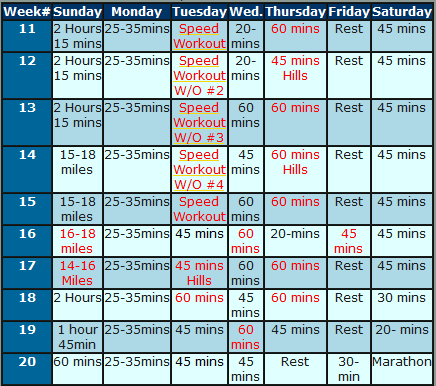 For advance runners, there are multiple schedules to choose from, based on the different capabilities within each class. To avoid unnecessary injuries, do not move up a level before you are ready. More importantly, if you are under the weather or if your body seems to be breaking down, then back off. 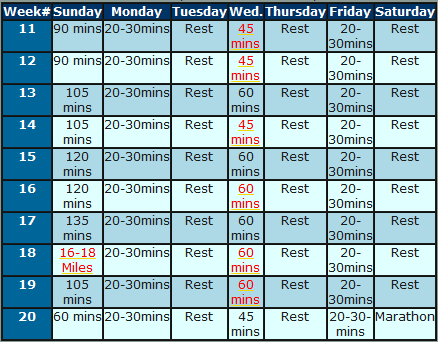 Throw in a few more rest days and few more easy days. 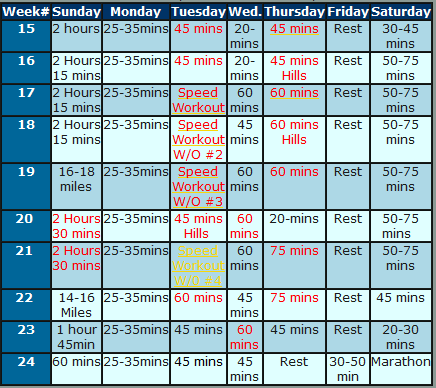 It is better to be 90% fit and 100% injury-free as opposed to 100% fit and injured. During the week there are hard/easy days mixed into the workout session. 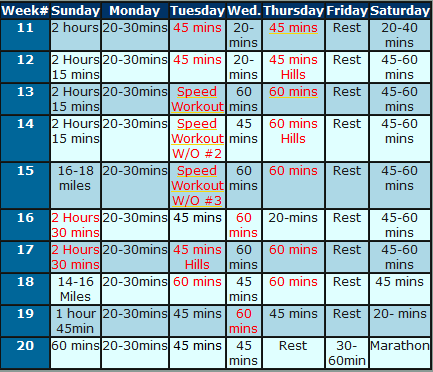 Never skip the easy days after a hard workout day. These workout provide nutrients and remove toxins from the body and well help in your recovery and prevent injuries. 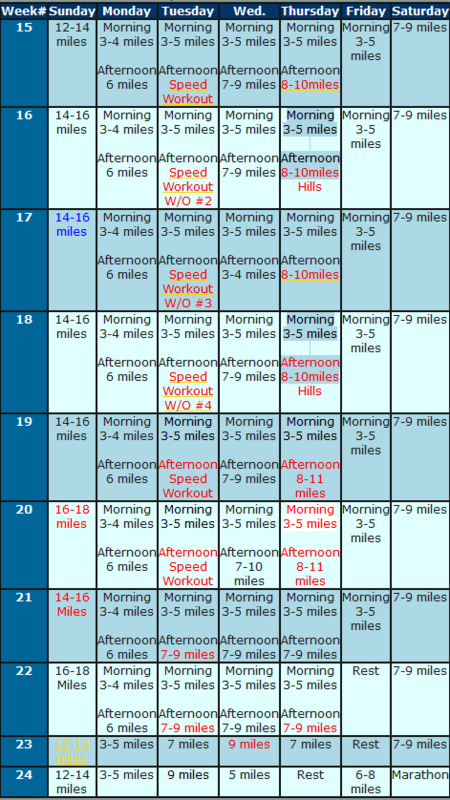 Eliminate the hard workouts if days have to be missed.